The Highland summer is continuing its theme of here one day and gone the next. 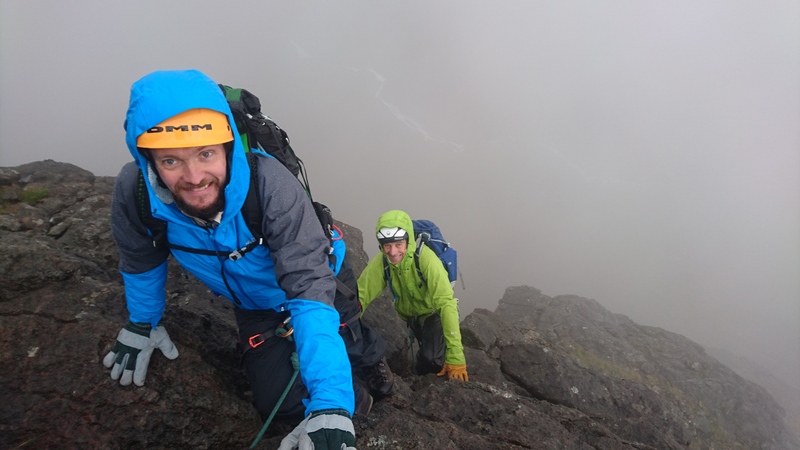 Most recently I have been working with Donald and David on Skye then Harry and Conor around Lochaber, both teams had high expectations but sometimes you just cant fight the weather. 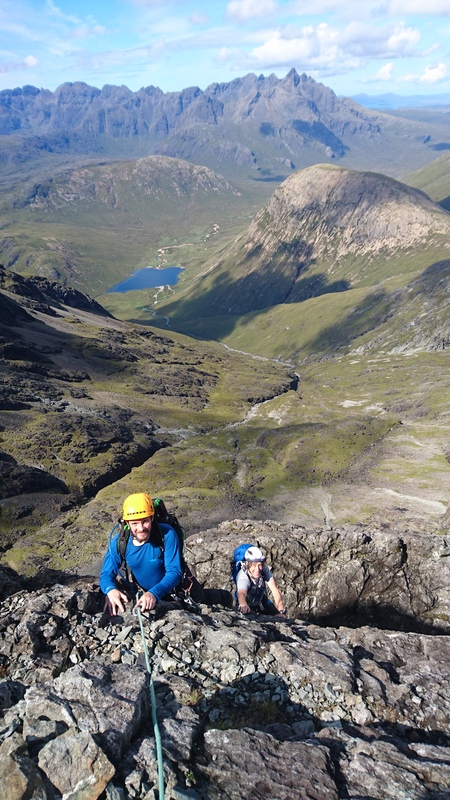 The last four days I have been working for West Coast Mountain Guides. 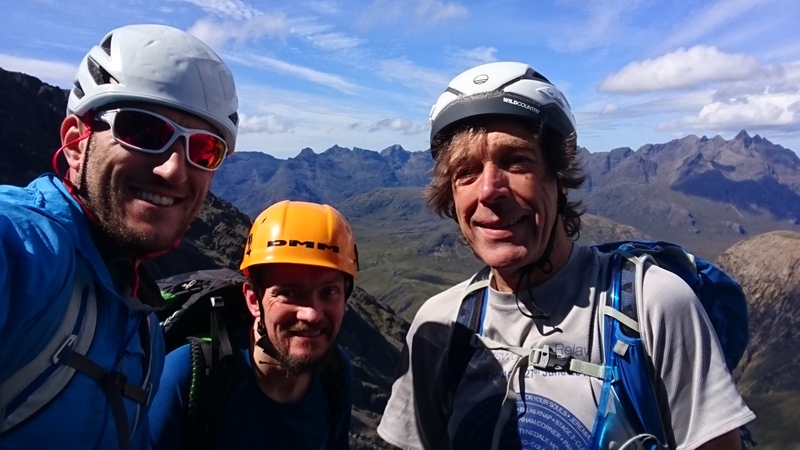 Donald and David have been to Skye several times, both have completed the main ridge Munros yet both were very keen to try a Cuillin Traverse. 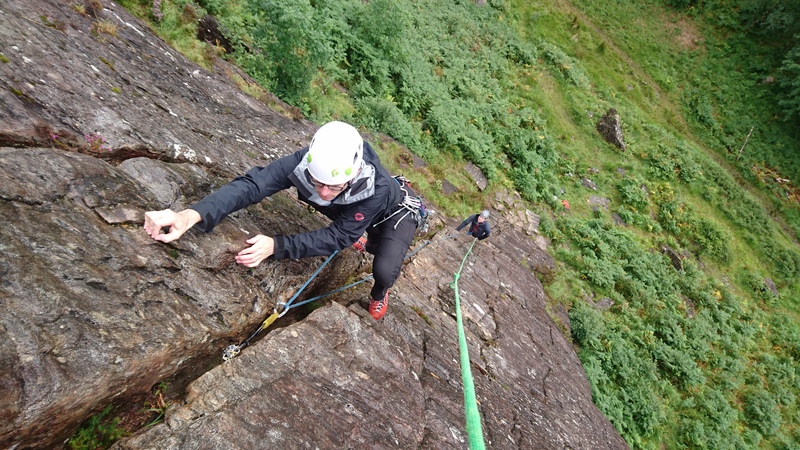 Quite rightly they wanted the full experience so with a heavy thundery forecast things weren’t looking too promising. 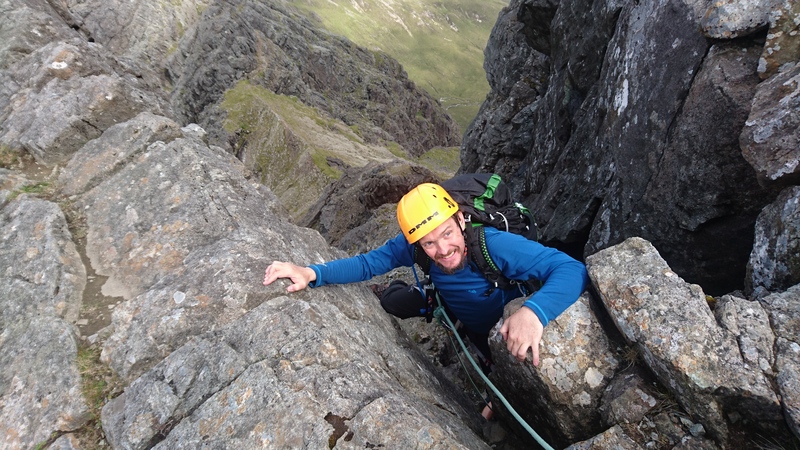 Instead, we had two very contrasting days on Pinnacle Ridge and Clach Glas / BlaBheinn traverse. As it happens every 6 hours the forecast changed only this time, annoyingly it got better. 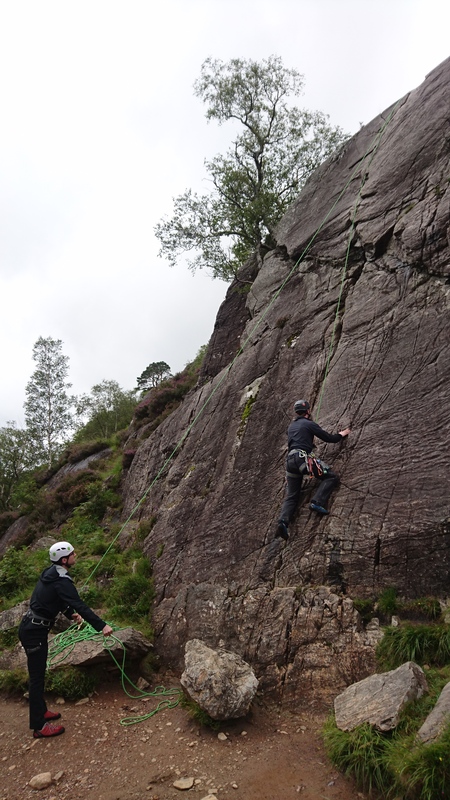 It wouldnt have made a difference to skipping past climbs such as the TD Gap and Kings Chimney as it rained very heavy the first morning, however; Naismith’s probably would have got a look as bright sunshine dried everything out quickly – some you win, some you loose. 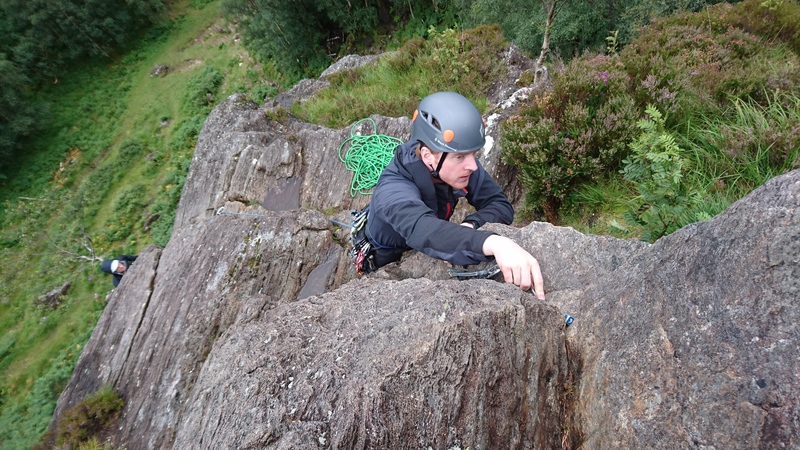 The following day I met Harry and Conor, both wanted to learn to lead rock routes themselves and having been on taster courses previously there was nothing to suggest otherwise. 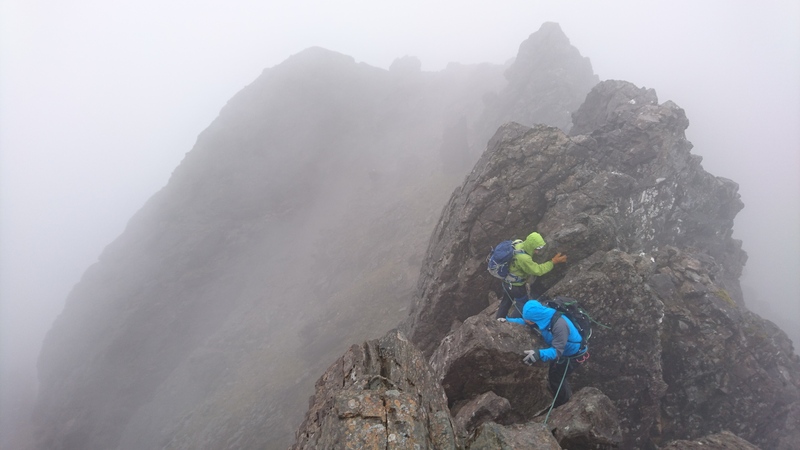 Once again we did battle with some difficult conditions, making use of any brighter spells to climb Pinnacle Ridge, the Gutter and have a play on Tear in Glen Nevis. 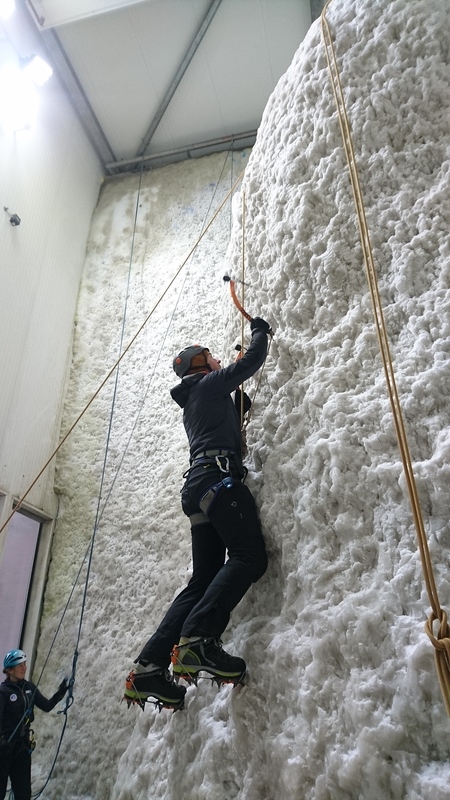 After dodging around on slippery schist we decided to have a day inside at the Ice Factor. 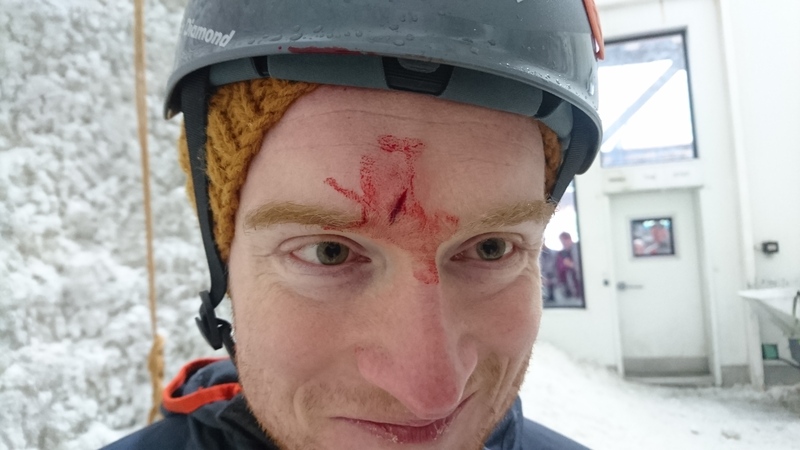 Both Harry and Conor did well learning techniques in the Ice Wall but unfortunately we had to cut our day short as Harry managed to attack himself with his ice axe. Back to Skye this week hoping to capitalise with a blip of high pressure!